When I saw the snow in near regions, I became curious to know whether there is snowing in other places or not! After hours of driving in the freezing road filled by snow, then hiking to reach the desert,I got chance to photograph this rare moment. 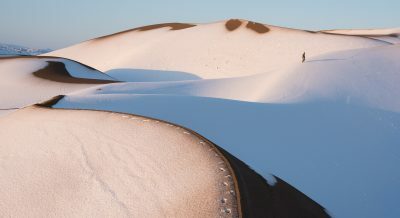 This is photographed just after Sunrise.